Students in grades Kindergarten through eighth have unique, hands-on learning opportunities. Students use different skills and creative processes to produce a real understanding of knowledge. Daily exposure to the outdoors and frequent field trips allow children to gain and exercise their understanding of how the world works. 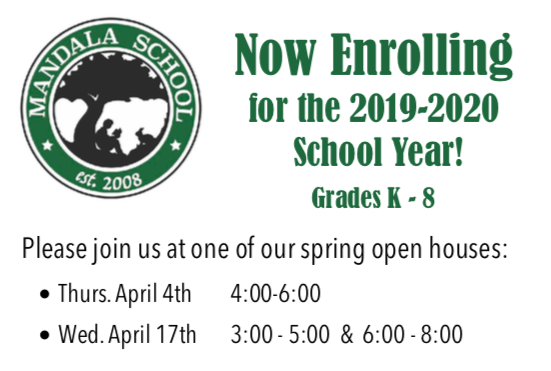 We would love to have you come to Mandala School, meet the teachers, and have your child shadow for the day!